As a guiding pattern, tooltips generally have a 'Close' or 'Next' button that allows users to move at their own pace as they learn more about your platform. 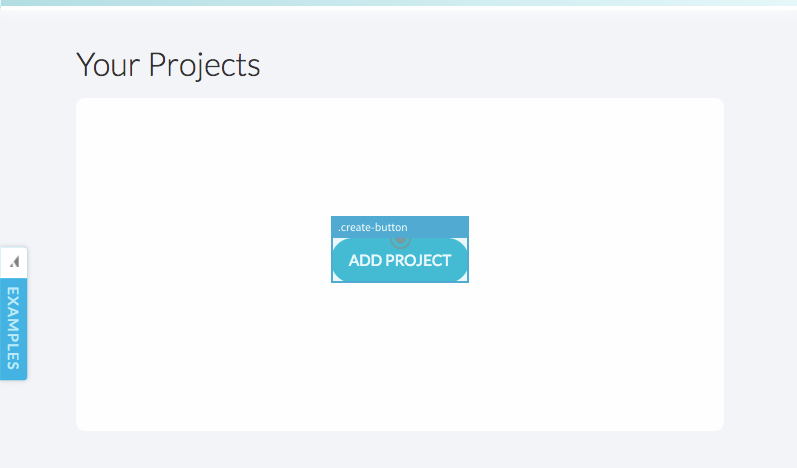 Occasionally you'll need your users to complete an action outside of clicking a 'Next' button to progress through your tutorial. For example, you may have a tooltip pointing to a button, link, or tab in your platform that you'd like the user to click. To reduce friction and avoid redundancy by asking users to select a 'Next' button and click on a non-Appcues element in your platform, our Action-Driven tooltips will allow your users to progress through (or end) a tour by clicking only the element the tooltip points to, rather than an Appcues 'Next' button. 3. 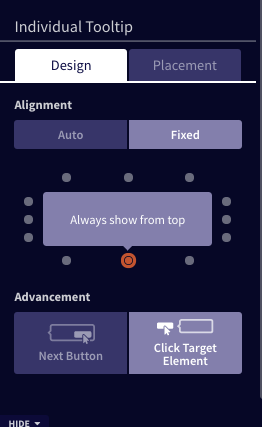 Select the cog icon next to the tooltip to display its settings. 5. Your changes will auto save and you're good to go! There you have it! You can make as many of your tooltips action-driven as you'd like, so feel free to get creative.